Skeeter Lasuzzo has ran away with country music legend Reba McEntire's heart! More on the happy couple and their story here! After her painful 2015 divorce from longtime husband Narvel Blackstock, country music icon Reba McEntire wasn’t expecting to have another chance at finding love. That has changed since Reba began dating retired oil geologist Anthony Lasuzzo aka Skeeter Lasuzzo! According to PEOPLE, the couple first met in August 2017 while Reba was visiting Jackson Hole, Wyoming. Lasuzzo, who is also wildlife photographer and has a home in the area, was on hand to help Reba and other visitors spot local animal activity. “We just had the best time,” McEntire shared with the outlet. 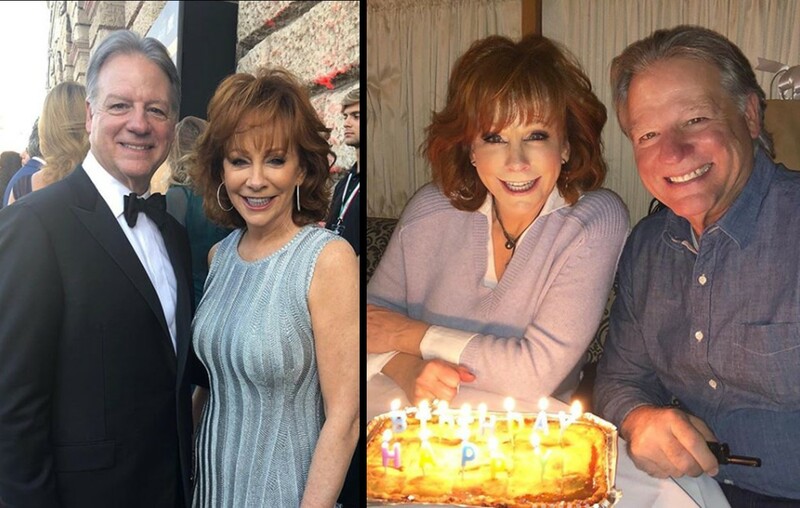 “And so two nights later, we all went out to dinner, and he bought my dinner.” McEntire came back to Jackson Hole two months later, and Lasuzzo asked her out. “I was there almost a week and we spent every day together,” she added. The pair started things slow and their friendship gradually became romantic. Reba admits that she’s a fan of these strong feelings. “The old heart’s still beating,” she kidded. State department dinner in Washington DC. We couldn’t be happier for Reba McEntire and Skeeter Lasuzzo! Share this update with other country music fans!